Have a BLAST playing either Basket Ball, Soccer, or Volleyball!!! You can have it all! It is the Ultimate 3-in-1 Triple Threat! Available in Arena A ONLY. 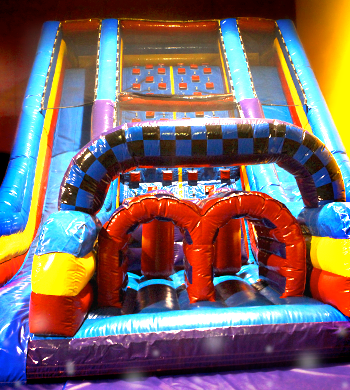 Kids love the double rock climbing, double slide Vertical Rush! Located in BOTH Arena A & Arena B! 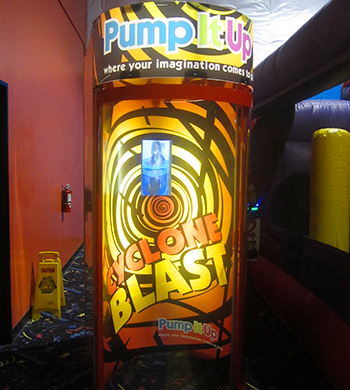 This fun ride is for two thrill seekers to jump and joust! Either way you choose –let the fun begin! Inside is 2 sets of boxing gloves and 2 jousting poles. 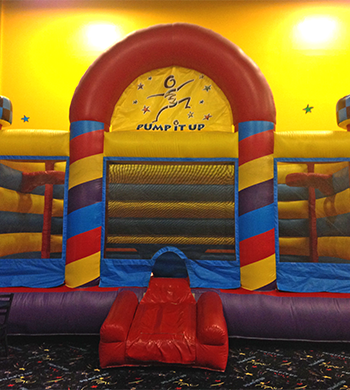 Climb, Jump and Slide up and through this Obstacle Course! Race one of your friends, family members or new found friends to the bottom of the slide. 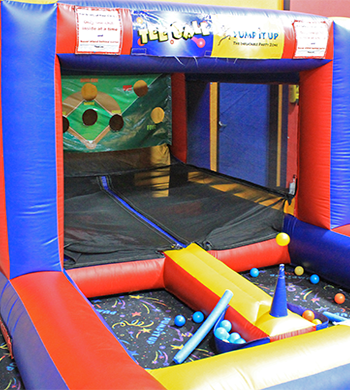 Arena A's Obstacle Course is easier for the smaller kids but still fun for the big kids! 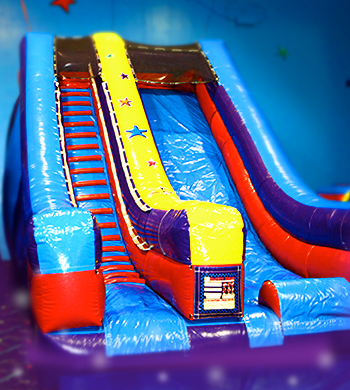 Arena B's Double Slide Obstacle Course is a little more challenging and perfect for the bigger kids. 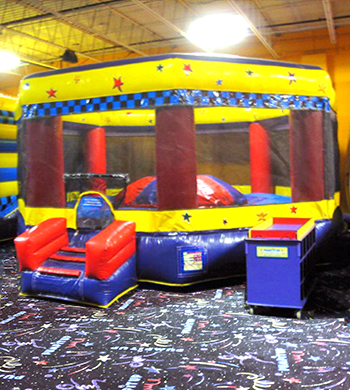 Participants climb up all the way up to the top of our 20 foot slide and fly down the fast drop to the bottom mat. Kids LOVE it! Parents Love IT! Grandparents love it! Definitely our most popular attraction. Available in Only in Arena A. 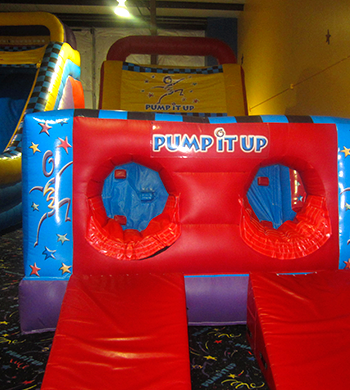 Bring the basketball fun to our Basketball Inflatable. Get active and play a game or two. Run, Jump and Dunk! 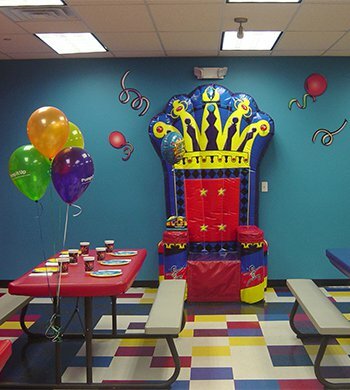 Have your child's birthday party with us and your child will feel like royalty in the Birthday Thrown. The Wind Whipping Cyclone Blast! This Hurricane Simulator Machine is just like being in a wind tunnel. It goes up to the speed of 78MPH. 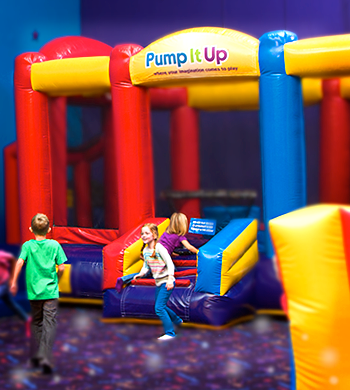 Included in every birthday party package, the birthday child gets 1 free ride! 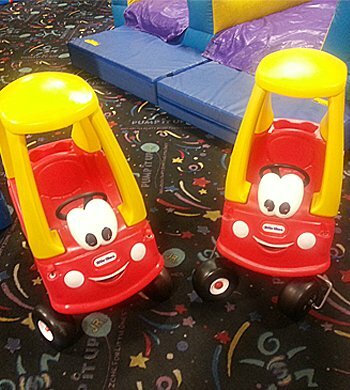 Our location has different types of Kiddy Cars. We have 2 cars in each Arena. We have a Kiddy Police Car, Taxi Cab, and Monster Truck versions. Every Party Package comes with the option of lights out! Lights out is usually the last 20 minutes of your parties jump time. FX lighting, laser lights and disco lights. 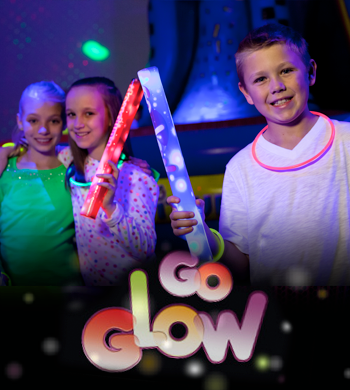 However, if you would like the arena to be go glow for your entire party ask us about our glow experiences. Includes UV Blacklighting, FX lighting, laser lights and disco lights. 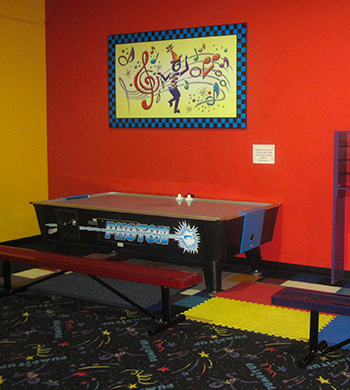 Air Hockey Tables are available in both Arenas. Do you love air hockey? Maybe your tired out and need a breather from jumping. Play a game of air hockey and catch your breath.